Hi there, it's Lydia here with you today! 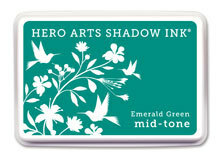 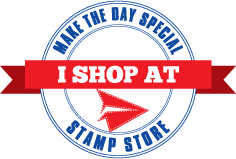 I have been playing with a stamp set from one of the newest brands in the store 'Concord & 9th'. 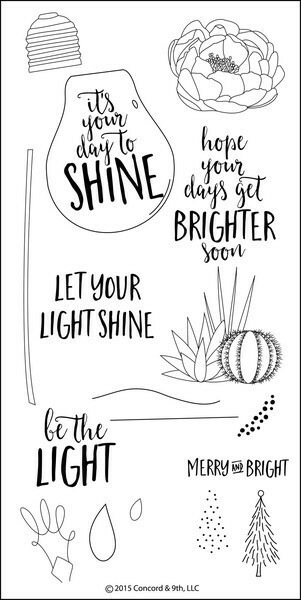 The Shine Brighter set is so fun and it has something on there for every occasion- even Christmas. 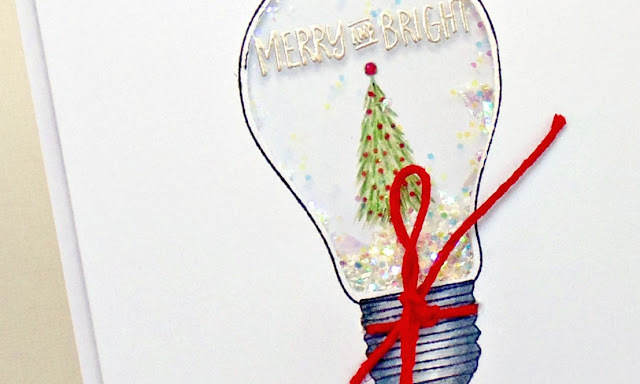 I decided to play around a little and come up with a fun, snow globe-ish idea. I stamped the lightbulb into place on my card and then cut away the middle to create my snowy shaker scene. 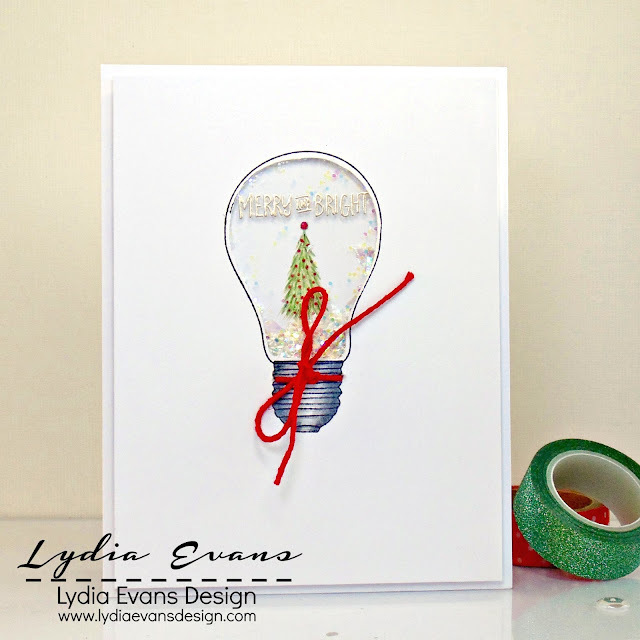 I used the tree from the stamp and stamped this into place on my card base and added some green coloured pencils before adding in the lights (dots) to the tree in red which are also in the set. The sentiment I stamped onto some heat resistant acetate and heat embossed in silver.